CyberPower announced new Gamer Ultra systems with AMD's A-series APUs. CyberPower Inc., www.cyberpowerpc.com, a leading manufacturer of custom gaming PCs, today announced a series of desktop gaming PCs based on AMD’s new A-series desktop platform featuring all new APUs (Accelerated Processing Units), which integrates the CPU along with the fastest onboard GPU and memory controller into one die to offer low power consumption and high performance at a low cost. The new A-series APU boasts twice the cache of previous AMD hardware in its class and features integrated the Radeon 6000 series graphics, for a powerful processing unit on a single die. The Radeon HD graphics found on the new APUs are also the first to incorporate Microsoft’s DirectX 11 technology for an ultra-realistic gaming experience. Other performance features on the new APUs include the AMD Turbo Core and VISION Engine graphics technology to help digital content like videos, games, and photos look their best, as well as offer native multi-monitor support. CyberPower will debut this new architecture in its award-winning lineup of gaming PCs, including its Gamer Ultra series. When combined with the new features of the A-series platform and the latest GPU technology from AMD or NVIDIA, the Gamer Ultra gaming PC series has all the horsepower and features to tackle anything. Customers will be able to configure their Gamer Ultra systems with an AMD Socket FM1 A-series chipset motherboard from the world-leading manufacturers, such as Asus, Gigabyte, or MSI, and a choice of the A6, or A8 APU. The new A-series chipsets feature the latest technology, including SATA 6.0 Gb/s and USB 3.0. Starting prices for CyberPower gaming systems powered by the new AMD A-series platform start at $600 with an AMD A6-3650 and FM1 A75 chipset motherboard. All CyberPower gaming PCs based on the AMD’s new A-series platform can be easily customized with a number of hard drive and/or SSD, optical drive, memory, CyberPower Advanced Hydro Liquid Cooling, and other peripheral or component options at the company website. All systems will be able to drive the industry’s largest and highest resolution flat-panel displays. 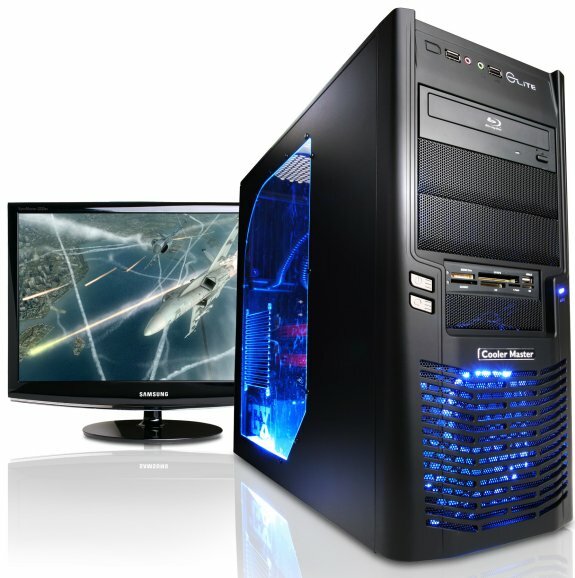 Additionally, CyberPower loads every system with Microsoft Windows 7 64-bit Operating System with Service Pack 1 to enhance your gaming and multimedia experience and includes an industry-best-3 year limited warranty and free lifetime phone support.